The Kingdom of Yugoslavia (Serbo-Croatian : Краљевина Југославија / Kraljevina Jugoslavija;  Slovene : Kraljevina Jugoslavija) was a state in Southeast Europe and Central Europe that existed from 1929 until 1941, during the interwar period and beginning of World War II. Slovene or Slovenian belongs to the group of South Slavic languages. It is spoken by approximately 2.5 million speakers worldwide, the majority of whom live in Slovenia. It is the first language of about 2.1 million Slovenian people and is one of the 24 official and working languages of the European Union. Central Europe is the region comprising the central part of Europe. It is said to occupy continuous territory that are otherwise conventionally Western Europe, Southern Europe, and Eastern Europe. The concept of Central Europe is based on a common historical, social and cultural identity. Central Europe is going through a phase of "strategic awakening", with initiatives such as the CEI, Centrope and the Visegrád Four. While the region's economy shows high disparities with regard to income, all Central European countries are listed by the Human Development Index as very highly developed. The State of Slovenes, Croats and Serbs was a political entity that was constituted in October 1918, at the end of World War I, by Slovenes, Croats and Serbs resident in what were the southernmost parts of the Austro-Hungarian Empire. Although internationally unrecognized, this was the first incarnation of a Yugoslav state founded on the Pan-Slavic ideology. Thirty-three days after it was proclaimed, the State joined the Kingdom of Serbia to form the Kingdom of Serbs, Croats and Slovenes. The Kingdom of Serbia was created when Milan I, ruler of the Principality of Serbia, was proclaimed king in 1882. Alexander I, also known as Alexander the Unifier, served as a prince regent of the Kingdom of Serbia from 1914 and later became King of Yugoslavia from 1921 to 1934. He was assassinated in Marseille, France, by Bulgarian revolutionary Vlado Chernozemski during a state visit. The state was ruled by the Serbian dynasty of Karađorđević, which previously ruled the Kingdom of Serbia under Peter I from 1903 (after the May Overthrow) onward. Peter I became the first king of Yugoslavia until his death in 1921. He was succeeded by his son Alexander I, who had been regent for his father. He was known as "Alexander the Unifier" and he renamed the kingdom "Yugoslavia" in 1929. He was assassinated in Marseille by Vlado Chernozemski, a member of the Internal Macedonian Revolutionary Organization (IMRO), during his visit to France in 1934. The crown passed to his then-still under-aged son Peter. Alexander's cousin Paul ruled as Prince regent until 1941, when Peter II would come of age. 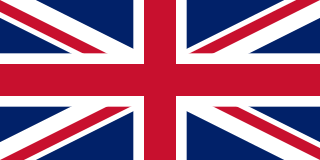 The royal family flew to London the same year, prior to the country being invaded by the Axis powers. The Karađorđević is a Serbian dynastic family, founded by Karađorđe Petrović, the Veliki Vožd of Serbia in the early 1800s during the First Serbian Uprising. The relatively short-lived dynasty was supported by the Russian Empire and was opposed to the Austria-Hungary supported Obrenović dynasty. After Karađorđe's assassination in 1817, Miloš Obrenović founded the House of Obrenović. The two houses subsequently traded the throne for several generations. Following the assassination of Alexander in 1903, the Serbian Parliament chose Karađorđe's grandson, Peter I Karađorđević, then living in exile, for the throne of the Kingdom of Serbia. He was duly crowned as King Peter I, and shortly before the end of World War I, representatives of the three peoples proclaimed a Kingdom of the Serbs, Croats and Slovenes with Peter I as sovereign. In 1929, the Kingdom was renamed Yugoslavia, under Alexander I, the son of Peter I. 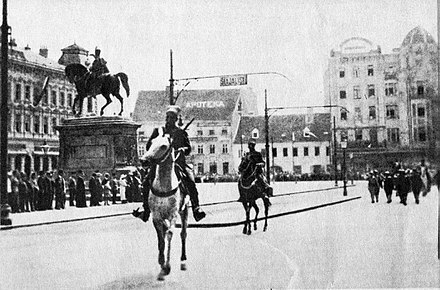 In November 1945, the throne was lost when the League of Communists of Yugoslavia seized power, during the reign of Peter II. Peter I reigned as the last King of Serbia (1903–1918) and as the first King of the Serbs, Croats and Slovenes (1918–1921). Since he was the king of Serbia during a period of great Serbian military success, he was remembered by Serbian people as King Peter the Liberator, and also known as Old King. Marseille is the second-largest city of France. 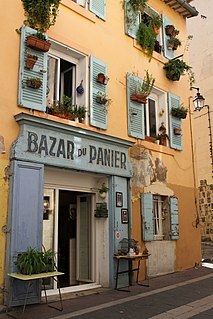 The main city of the historical province of Provence, it nowadays is the prefecture of the department of Bouches-du-Rhône and region of Provence-Alpes-Côte d'Azur. It is located on French Riviera coast near the mouth of the Rhône. The city covers an area of 241 km2 (93 sq mi) and had a population of 852,516 in 2012. Its metropolitan area, which extends over 3,173 km2 (1,225 sq mi) is the third-largest in France after Paris and Lyon, with a population of 1,831,500 as of 2010. Archduke was the title borne from 1358 by the Habsburg rulers of the Archduchy of Austria, and later by all senior members of that dynasty. 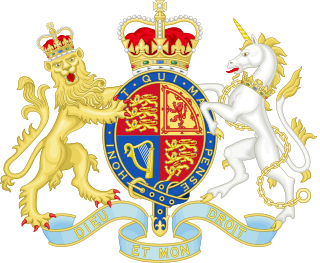 It denotes a rank within the former Holy Roman Empire (962–1806), which was below that of Emperor and King and above that of (debatably) a Grand Duke, Duke and Prince. Gavrilo Princip was a Bosnian Serb member of Young Bosnia, a Yugoslavist organization seeking an end to Austro-Hungarian rule in Bosnia and Herzegovina. He assassinated Archduke Franz Ferdinand of Austria and his wife, Sophie, in Sarajevo on 28 June 1914 at the age of 19 years old, initiating a chain of events that would lead to the outbreak of World War I. Princip and his accomplices were arrested and implicated the Serbian nationalist secret society known as the Black Hand, leading Austria-Hungary to issue a démarche to Serbia known as the July Ultimatum. The name of the new Yugoslav state was: "Kingdom of Serbs, Croats and Slovenes" (Serbo-Croatian : Краљевина Срба, Хрвата и Словенаца / Kraljevina Srba, Hrvata i Slovenaca; Slovene : Kraljevina Srbov, Hrvatov in Slovencev) or its abbreviated form "Kingdom of SHS" (Kraljevina SHS / Краљевина СХС). A plebiscite was also held in the Province of Carinthia, which opted to remain in Austria. Austrians had formed a majority in this region although numbers reflected that some Slovenes did vote for Carinthia to become part of Austria. The Dalmatian port city of Zadar (Italian : Zara) and a few of the Dalmatian islands were given to Italy. The city of Rijeka (Italian : Fiume) was declared to be the Free State of Fiume, but it was soon occupied, and in 1924 annexed, by Italy, which had also been promised the Dalmatian coast during World War I, and Yugoslavia claiming Istria, a part of the former Austrian Littoral which had been annexed to Italy, but which contained a considerable population of Croats and Slovenes. In the early 1920s, the Yugoslav government of prime minister Nikola Pašić used police pressure over voters and ethnic minorities, confiscation of opposition pamphlets  and other measure to rig elections. This was ineffective against the Croatian Peasant Party (formerly the Croatian Republican Peasant Party), whose members continued to win election to the Yugoslav parliament in large numbers,  but did harm the Radicals' main Serbian rivals, the Democrats. Stjepan Radić, the head of the Croatian Peasant Party, was imprisoned many times for political reasons. He was released in 1925 and returned to parliament. 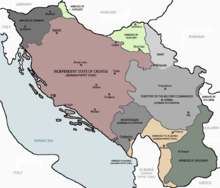 The Kingdom of Yugoslavia was soon divided by the Axis into several entities. Germany, Italy, Hungary, and Bulgaria annexed some border areas outright. A Greater Germany was expanded to include most of Slovenia. Italy added the Governorship of Dalmatia, part of Macedonia and Kosovo, Montenegro, southerly part of Croatia, and more than a third of western Slovenia to the Italian Empire. An expanded Croatia was recognized by the Axis as the Independent State of Croatia ( Nezavisna Država Hrvatska , NDH). On paper, the NDH was a kingdom and the 4th Duke of Aosta was crowned as King Tomislav II of Croatia. The rump Serbian territory became a military administration of Germany run by military governors and a Serb civil government led by Milan Nedić. Nedić attempted to gain German recognition of Serbia as a successor state to Yugoslavia and claimed King Peter II as Serbia's monarch. Hungary occupied several northern regions. The Croatian Peasant Party is a centrist political party in Croatia founded on December 22, 1904 by Antun and Stjepan Radić as Croatian Peoples' Peasant Party (HPSS). Brothers Radić considered that the realization of Croatian statehood was possible within Austria-Hungary, but that it had to be reformed into a Monarchy divided into three equal parts – Austria, Hungary, Croatia. After the creation of Kingdom of Yugoslavia in 1918, Party requested for the Croatian part of the Kingdom to be based on self-determination. This brought them great public support which columned in 1920 parliamentary election when HPSS won all 58 seats assigned to Croatia. Puniša Račić was a Montenegrin Serb leader and People's Radical Party (NRS) politician who assassinated Croatian Peasant Party (HSS) representatives Pavle Radić and Đuro Basariček, and mortally wounded HSS leader Stjepan Radić in a shooting which took place on the floor of the parliament of the Kingdom of Serbs, Croats and Slovenes on 20 June 1928. He was tried and handed a sixty-year sentence, which was immediately reduced to twenty years. He served most of his sentence under house arrest and was killed by the Yugoslav Partisans in October 1944. State of Slovenes, Croats and Serbs became merged with Kingdom of Serbia and Kingdom of Montenegro to form the nation of Yugoslavia in 1918. The formation of Yugoslavia began with the formation of the Yugoslav Committee, a collection of mostly Croats, then Serbs and later Slovenes, whose goal was to form a single south Slavic state. 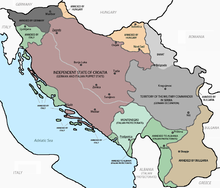 In October 1918 the Croatian Parliament declared the Kingdom of Croatia - Slavonia as an independent state, which, in December that same year, incorporated in State of Slovenes, croats and Serbs, merged with Kingdom of Serbia and Kingdom of Montenegro and created the Kingdom of Serbs, Croats and Slovenes. The kingdom would be renamed to Yugoslavia in 1929, and ruled by Serbian Karađorđević dynasty till Second World War. After the formation of Yugoslavia, Serbia attempted to create a "Greater Serbia" by using police intimidation and vote rigging to establish a Serbian controlled Yugoslavia. From 1929-1941 Serbian controlled Yugoslavia established control over Croatia through Royal Yugoslav police force brutality and assassinations of important Croatians. 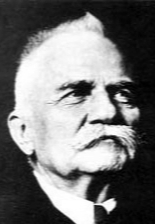 Ante Trumbić was a Croatian politician in the early 20th century. Svetozar Pribićević was a Croatian Serb politician who was one of the main proponents of Yugoslavism and a federalized South Slavic state which would later turn out to be Yugoslavia. However, he later became a bitter opponent of the same policy and of the dictatorship of king Aleksandar Karađorđević. The People's Radical Party was a political party in the Kingdom of Serbia and Kingdom of Serbs, Croats and Slovenes (Yugoslavia) formed on 8 January 1881. The party was abolished after the establishment of the Socialist Federative Republic of Yugoslavia (SFRY) in 1945. Constitutional Assembly elections were held in the Kingdom of Serbs, Croats and Slovenes on 28 November 1920. The Democratic Party emerged as the largest faction, winning 92 of the 419 seats. Juraj Krnjević was a Croatian and Yugoslav politician who was among the leaders of the Croatian Peasant Party (HSS). He was the party's General Secretary since 1928 and President since 1964. He also served as the First Deputy Prime Minister and Minister of Post, Telegraph and Telephone of Yugoslavia between 1942 and 1943. The Independent Democratic Party was a social liberal political party in the Kingdom of Serbs, Croats and Slovenes, and later the Kingdom of Yugoslavia. It was established by Svetozar Pribićević as a breakaway faction of the Democratic Party in 1924. It was formed by three different groups: by far the largest group were the Serbs from the areas of the former Austro-Hungarian Empire, that is Croatian, Bosnian and Vojvodina Serbs, with the prevalence of the first. The second most influential group were Slovene centralist liberals. The third group was composed by Croat liberals, mostly from Dalmatia and Zagreb. The Vidovdan Constitution was the first constitution of the Kingdom of Serbs, Croats and Slovenes. It was approved by the Constitutional Assembly on 28 June 1921 despite the opposition boycotting the vote. The Constitution is named after the feast of St. Vitus (Vidovdan), a Serbian Orthodox holiday. The Constitution required a simple majority to pass. Out of 419 representatives, 223 voted for, 35 voted against and 161 abstained. The Yugoslav Democratic Party, State Party of Serbian, Croatian and Slovene Democrats and Democratic Party was the name of a series of liberal political parties that existed in succession in the State of Slovenes, Croats and Serbs and the Kingdom of Serbs, Croats and Slovenes. The Croat-Serb Coalition was a major political alliance in Austria-Hungary during the beginning of the 20th century that governed the Croatian lands. It represented the political idea of a cooperation of Croats and Serbs in Austria-Hungary for mutual benefit. Its main leaders were, at first Frano Supilo and then Svetozar Pribićević alone. Yugoslavism or Yugoslavdom refers to the unionism, nationalism or patriotism associated with South Slavs/Yugoslavs and Yugoslavia. 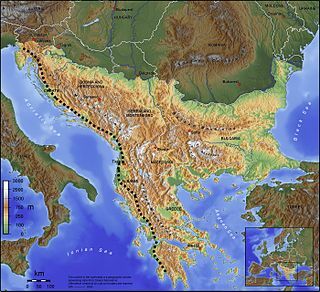 Yugoslavism has historically advocated the union of all South Slav populated territories now composing Bosnia and Herzegovina, Croatia, Montenegro, Serbia, Slovenia, North Macedonia, and, for some like Ivan Meštrović, Bulgaria. It became a potent political force during World War I with the assassination of Archduke Franz Ferdinand of Austria by the Yugoslavist militant Gavrilo Princip and the subsequent invasion of Serbia by Austria-Hungary. 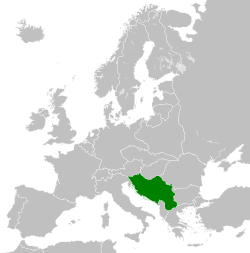 During the war the Yugoslav Committee composed of South Slav emigres from Austria-Hungary, supported Serbia and vouched for the creation of a Yugoslav state. On 1 December 1918, King Peter of Serbia proclaimed the Kingdom of Serbs, Croats, and Slovenes, commonly known as "Yugoslavia". During the Yugoslav period, a Yugoslav identity was propagated. Adam Pribićević was a Serbian publisher, writer, and politician. He had three brothers: Milan, Valerijan and Svetozar. ↑ Busch, Birgitta; Kelly-Holmes, Helen (2004). Language, Discourse and Borders in the Yugoslav Successor States. Multilingual Matters. p. 26. ISBN 978-1-85359-732-9. ↑ Alexander, Ronelle (2013). "Language and Identity: The Fate of Serbo-Croatian". In Daskalov, Rumen; Marinov, Tchavdar. Entangled Histories of the Balkans: Volume One: National Ideologies and Language Policies. Koninklijke Brill NV. p. 371. ISBN 978-90-04-25076-5. Now, however, the official language of the new state, the Kingdom of Serbs, Croats, and Slovenes, bore the unwieldy name Serbo-Croato-Slovene (srpsko-hrvatsko-slovenački). ↑ Wojciechowski, Sebastian; Burszta, Wojciech J.; Kamusella, Tomasz (2006). Nationalisms across the globe: an overview of nationalisms in state-endowed and stateless nations. 2. School of Humanities and Journalism. p. 79. ISBN 978-83-87653-46-0. Similarly, the 1921 Constitution declared Serbocroatoslovenian as the official and national language of the Kingdom of Serbs, Croats, and Slovenians. ↑ Kamusella, Tomasz (2009). The politics of language and nationalism in modern Central Europe. Palgrave Macmillan. pp. 228, 297. ISBN 978-0-230-55070-4. ↑ J. B. Hoptner (1963). "Yugoslavia in Crisis 1934–1941". Columbia University Press. ↑ Walter R. Roberts (1973). Tito, Mihailović, and the Allies, 1941–1945. Rutgers University Press. p. 288. ISBN 978-0-8135-0740-8. 1 2 3 4 5 6 Spencer Tucker. 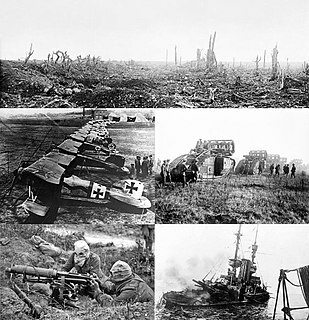 Encyclopedia of World War I: A Political, Social, and Military History. Santa Barbara, California, USA: ABC-CLIO, 2005. Pp. 1189. ↑ History of the municipal theatre Archived 23 June 2007 at the Wayback Machine from Corfu city hall Quote: "The Municipal Theatre was not only an Art-monument but also a historical one. On its premises the exiled Serbian parliament, held meetings in 1916, which decided the creation of the new Unified Kingdom of Yugoslavia." ↑ Budisavljević Srđan, Stvaranje Države Srba, Hrvata i Slovenaca (Creating the State of Serbs, Croats ans Slovens), Zagreb, 1958, p. 170-175. ↑ Nationalism and Territory: Constructing Group Identity in Southeastern Europe, Geographical perspectives on the human past, George W. White, Rowman & Littlefield, 2000, ISBN 0847698092, p. 236. ↑ Rudolf B. Schlesinger (1988). Comparative law: cases, text, materials. Foundation Press. p. 328. Some countries, notably the Kingdom of Yugoslavia, had preserved enclaves of Islamic law (relating to personal...)..
↑ Lampe 2000, p. 112. ↑ Bartulin, Nevenko (2013). The Racial Idea in the Independent State of Croatia: Origins and Theory. Brill Publishers. p. 124. ↑ "Nevada Labor. Yesterday, today and tomorrow". Nevadalabor.com. Retrieved 3 September 2012. ↑ "Prince Paul of Yugoslavia exonerated of war crimes" (PDF). The Times . 24 January 2012. Retrieved 2012-09-14. ↑ Josef Korbel, Tito's Communism (University of Denver Press, 1951), 22. 1 2 Group of Authors (1997). Istorijski atlas (1st ed.). Zavod za udžbenike i nastavna sredstva & Geokarta, Belgrade. p. 91. ISBN 86-17-05594-4. ↑ Group of Authors (1997). Istorijski atlas (1st ed.). Zavod za udžbenike i nastavna sredstva & Geokarta, Belgrade. p. 86. ISBN 86-17-05594-4. Wikimedia Commons has media related to Kingdom of Yugoslavia .